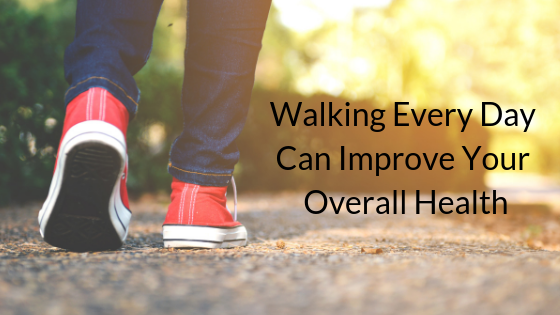 Walking every day is a simple, free and convenient way to get fit and live a healthier lifestyle. Curb your sugar cravings – even just a 15-minute walk can help with this! Bonus: Walking can even help boost your immune system – 1,000 adults were tracked during cold and flu season – those who walked for at least 20 minutes a day, 5 days a week, had 43% fewer sick days. If they did get sick, their symptoms were lessened and they weren’t sick for as long as those in the study who were sedentary. Most of us don’t get anywhere near the 10,000 steps a day we should be taking. That sounds like a lot, but doing so ensures we reach the 30 minutes of physical activity the Canadian Society for Exercise Physiology (CSEP) recommends adults exercise for each day. Make sure you walk with good posture – shoulders back, head up, back straight. Walk slower at the beginning and end of each walk to warm up and cool down. Walk around the mall on cold days – don’t worry, you’ll be walking too fast to stop and go shopping! Remember to start small to set yourself up for success. Committing to walking at the same time every day will help it become a habit; then set a new goal, like adding an extra 5 minutes each day until you reach 10,000 steps. And remember to congratulate yourself when you reach your goals, and set new ones!